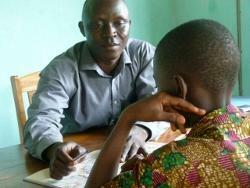 Projects Abroad offers voluntary placements in physiotherapy or speech therapy in Togo. Whether you are hoping to study physiotherapy or speech therapy at university or you already have considerable experience in these areas, you can make a big difference to these newly developed forms of treatment in Togo. Volunteers joining these projects should be motivated, willing to learn and have at least an intermediate level of spoken French. Depending on your background and level of skills, you can get involved in different stages of treatment including manual methods of treatment, rehabilitation, regular visits to homes and schools, as well as helping to raise awareness about disabilities in Togo. 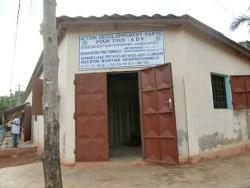 You will be placed at a Health Development Centre, based in Lomé. At the centre they diagnose disabled children, treat them individually and conduct workshops for the parents. The work is aimed at improving the lives of children suffering from developmental or physical disorders; by focusing on small gestures that go a long way, motor skills, balance and social integration. There is one local, qualified physiotherapist at the centre and three speech therapists. Speech therapy volunteers can also treat deaf children several days a week with one-on-one sessions at a school for the deaf. Volunteers help to teach the children how to pronounce sounds and words, as well as giving them the proper support to battle spelling difficulties. Disabilities are often frowned upon and surrounded by stigma in Togo. Your help on the Physiotherapy or Speech Therapy projects could help to change these attitudes. The Physiotherapy and Speech Therapy projects in Togo are available for two weeks if you don't have time to join us for a month or more. These projects have been selected by our local colleagues as being suitable for short term volunteering for both the placement and the volunteer. Although you will gain a valuable cultural insight and work intensely within the hospital please be aware that you may not be able to make the same impact as someone volunteering for a longer period.